This is the 83rd season of Laguna Basketball and the talented junior should hold nearly every offensive record by the time he plays his last contest for the Breakers in 2018. Last week the squad went 4-1 at Westminster’s Charlie Wilkens Memorial Tournament and Blake put on quit a display. As previously reported, Laguna upset defending Sunset League champion Los Alamitos 65-61 on Monday, December 12 as Burzell scored 39 points hitting for seven 3-point baskets to tie Laguna’s single game 3-point record. The following day Laguna defeated Kennedy 86-53 as Burzell scored 40 points and again scored seven three-pointers. Grady Morgan added 14, Charlie Rounagi 11, Owen McMurray 10, and Adam Armstrong 6 to round out the starting lineup scoring. Laguna set their single game school record scoring 16 three-point shots. 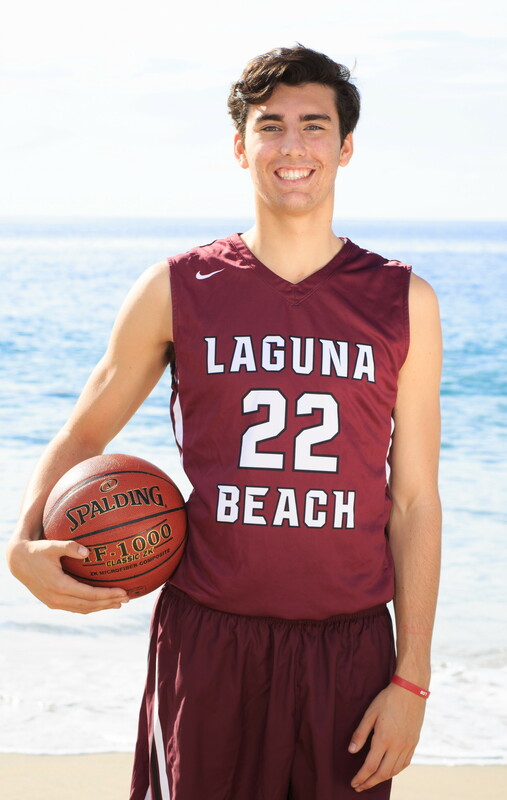 On Wednesday, December 14, Laguna faced Brea-Olinda in their 80th meeting all-time and came away with a 71-44 win over the Wildcats with Burzell adding 26, McMurray 15, Morgan 12, Rounaghi 12, and Armstrong 4 points. Breakers trailed 12-7 before embarking on a 34-7 run before halftime. In the final pool contest, Laguna defeated highly regarded Cajon 71-63 in a game played Thursday, December 15. In that contest, Blake went 18- for 30 from the field including six of 10 three-point shots plus added seven (for seven) free throws for 49 total points and a new single game Laguna record. The old mark was 47 points set by Cheyne Martin in 2006. Burzell also broke the single game field goal mark of 17 set by Scott Herdman in 1986 and broker the career three-point shot mark of 134 held by John Trevino (1988-90). Also scoring were Morgan with 11, Rounaghi with 5, Armstrong 4 and McMurray 2. Saturday the Breakers faced OC # 8 Buena Park (10-0) and the squad had difficulty in handling the Coyote press losing 58-50. Blake was held to a season low 12 points (three 3-pointers). Charlie Rounaghi led the Breakers with 14 points, Grady Morgan added 13, Adam Armstrong 8 and Owen McMurray 3 points for the Laguna scoring. This past week, Laguna participated in their 11th North/South Showcase at El Toro High on Thursday, December 22 with Woodbridge. Breakers 7-3 in their Challenge games and will play Woodbridge in this year’s contest. The Warriors hold a 12-9 series edge. Next week Laguna is off to Solana Beach for the Senators Division of the Torrey Pines Tournament staged at Santa Fe Christian High School. Breakers open play with Cimarron Memorial from Las Vegas on Tuesday, December 27. Other teams in Laguna’s 16 team division include Campbell Hall, Troy, Sonora, and Mira Costa. Laguna was in the Santiago/Garden Grove tournament this past week opening play with a 70-38 loss to No Cal’s Mountain View High School. Breakers were scheduled to face El Segundo and host Santiago before the event’s playoffs.